You may have seen some of the labels produced by Diversified Label Images—but only if you have ever been in a retail establishment in the United States or Canada that sells or serves Coke or Pepsi products. From its base in Birmingham, Alabama, Diversified Label Images furnishes shelf labels, pricing tags, and other promotional media that drink and snack distributors use to identify their products. The company provides similar “shelf talkers,” “cooler IDs,” and promotional material to other companies you might recognize: Budweiser, Miller Brewing, Frito-Lay, and a host of smaller regional and specialty suppliers of drinks and snacks. The promotional offerings are so extensive and complex that Diversified Label Images produces large, specialized catalogs from which Coke and Pepsi distributors may select the items they need. And advertising agencies preparing support materials for localized campaigns or specialized event promotions are often referred to Diversified Label Images because of the company reputation and familiarity with the graphic standards set by the giant drink and snack producers. The owner of Diversified Label Images, Jerry Shelly, bought the company in the early 1980s, when it was not a printer, but rather a distributor of Monarch Marking Systems products, with only a few hundred thousand dollars in annual sales. Shortly thereafter, Shelly installed a 7-inch flexo press to satisfy the label needs of some customers. Today, Diversified Label Images has a total of six flexographic presses, 30 employees, and more than $6 million in annual sales. The company has its own graphic designer and prepress department, and produces its own plates internally. Six salespeople call on drink and snack distributors, plus other customers, in all 50 states and Canadian provinces. A wide variety of media is used at Diversified Label Images. Although the vast majority of work involves pressure sensitive stock, the company also prints film, heavier plastic, paper, board, and multiwall variable scratch-off constructions. And a nearby sister company produces folding cartons, primarily for the pharmaceutical, health, and beauty care industries. When Diversified Label Images Controller Rose Lanzi joined the company in the late 1990s, she was charged by Shelly with selecting and implementing a software package to assist in managing a company which was growing in complexity, with thousands of products and customers. Lanzi investigated the software available and quickly settled on Label Traxx. She says: “We began estimating using Label Traxx in 2001, and by 2003 had most of the modules in place.” An accountant with prior software experience, Lanzi paid particular attention to how Label Traxx performs the financial functions of her business. “When we installed Label Traxx, we were very concerned with our ability to import the large number of customers, vendors and products we have, without rekeying all the data. The Label Traxx tech support people were an immense help, and everything came across very easily and without error. That made moving to the new system much easier, and gave all the employees a great deal of confidence in the process.” Employees were trained on site, although Lanzi did receive some systems level training at the Milwaukee headquarters of Tailored Solutions, which develops Label Traxx. Today, Mrs. Lanzi coordinates with Label Traxx the ongoing developments of the modules within Label Traxx. “We actively participate in the online user forum maintained by Label Traxx, and are pleased that the standard Label Traxx package now contains features which resulted from custom development done in our system.” A case in point is the early work Lanzi did to develop the interface between Label Traxx and FedEx, which handles the more than 1200 orders Diversified Label Images ships from stock each month. Working with FedEx and the Label Traxx development staff, Lanzi helped define the software protocols which enable FedEx to write tracking numbers, shipping status, and delivery confirmation information directly into Label Traxx, where it is immediately available to everyone in the company. This interface they developed is now an integral part of Label Traxx and is used by dozens of label producers. “Automatic order entry with suppliers such as Fasson is the next step,” says Lanzi, who also was an early and vocal supporter of the need to generate PDF documents within Label Traxx and send them directly to customers. 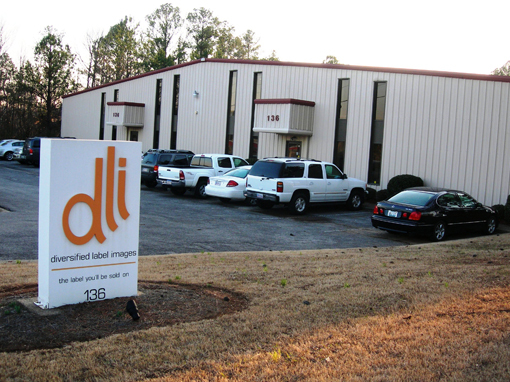 All Diversified Label Images employees have access to Label Traxx and use it daily. Sales personnel—who also double as customer service representatives—rely on the system to quickly identify customer buying habits and sales histories, both when in the office and on the road. Their job is made easier by an extensive online catalog describing the company’s products. Pepsi and Coca-Cola distributors can browse their own password-protected online catalogs, with detailed images and pricing. And Label Traxx is used to prepare estimates for the folding cartons business as well.